Poisoned Pen Press, 9781590588048, 250pp. Former Chief Warrant Officer Sam Blackman lost a leg in Iraq and emerged from the V.A. hospital in Asheville, NC, as a bitter civilian without a job or a future. But when he solved a series of local murders, Sam found new meaning for his life. Now he and his partner, Nakayla Robertson, are opening a detective agency. They have high hopes that the thriving mountain region will provide a steady stream of cases. Their first client, a quirky elderly woman in a retirement community, makes a strange request. She wants Sam to right a wrong she committed more than 70 years ago. Her victim: F. Scott Fitzgerald. Her crime: stealing a manuscript. 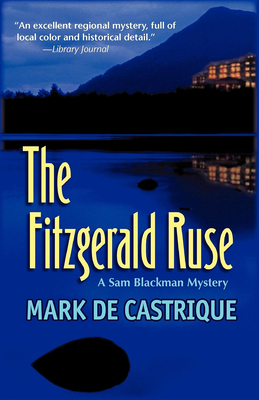 Sam's task seems simple enough: retrieve the woman's lockbox and deliver the manuscript to Fitzgerald's heirs.